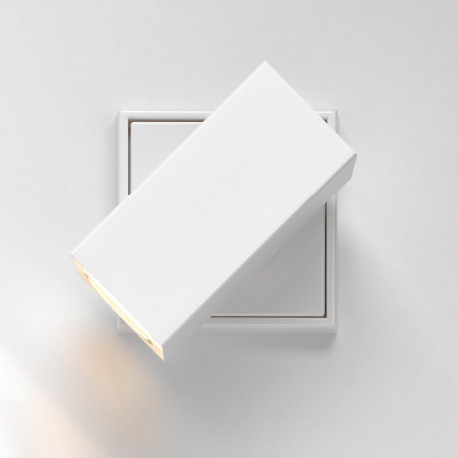 Plug & Light redefines interior lighting and makes light control incredibly easy. 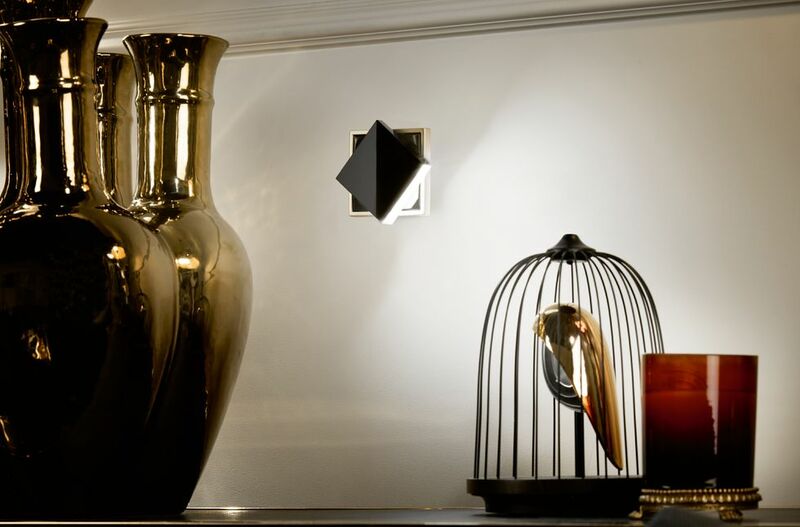 For guaranteed flicker-free, dimmable LED light with matching switch designs. 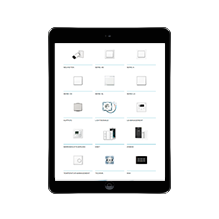 Plug & Light is a defined interface that unites light control and power supply. The Plug & Light system is designed as a modular system. It consists of a flush-mounted insert with the electronics, a frame, the light socket and a light attachment. JUNG provides compatible frames and covers for Plug & Light. The switch ranges A 550, A creation, A flow, LS 990, LS Design, LS Plus and LS ZERO perfectly match the modern LED system. The light attachment is held in place on the light socket by a strong magnet. Three gold-plated sliding contacts provide the necessary electrical connection. In addition to the power supply, the sliding contacts together with the attachment and light socket regulate the dimming process. 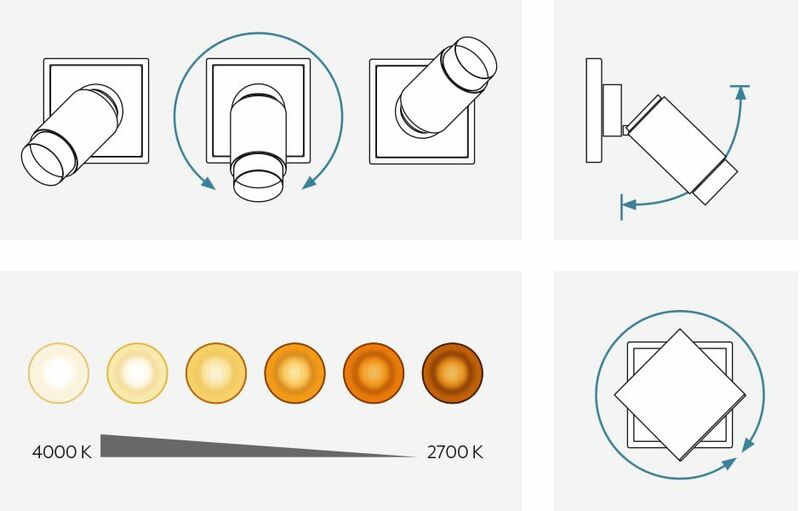 The requirements for lighting change where living and working spaces converge. The innovative Plug & Light system is perfect for this. It can always be modularly adapted to the respective challenge. Just as you like and without assembly effort. 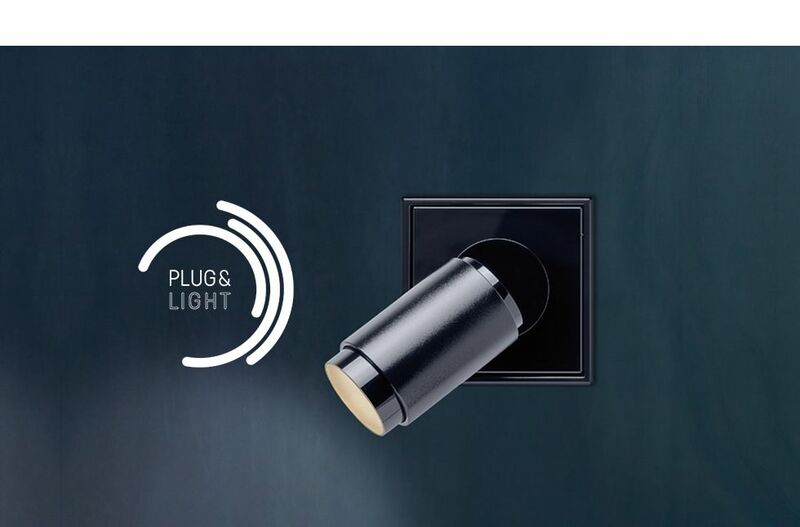 In addition to the light socket, Insta has developed two LED light attachments that JUNG provides to match its switch designs. The Plug & Light spotlight has a three-stage adjustable glare protection and can produce the appropriate lighting effects on ceilings and walls. With glare-free optics, it sets accent lighting or is used as work light. The light attachments from Insta guarantee optimum light distribution over the entire dimming range and can be rotated 360° without any stops. The LED spotlight can be swivelled by up to 90° and rotated by 360°. As a result, it produces a perfectly aligned LED spot. 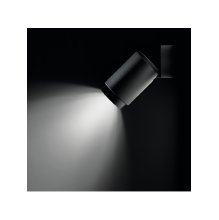 The Plug & Light spotlight has a three-stage adjustable glare protection and can produce the appropriate lighting effects on ceilings and walls. 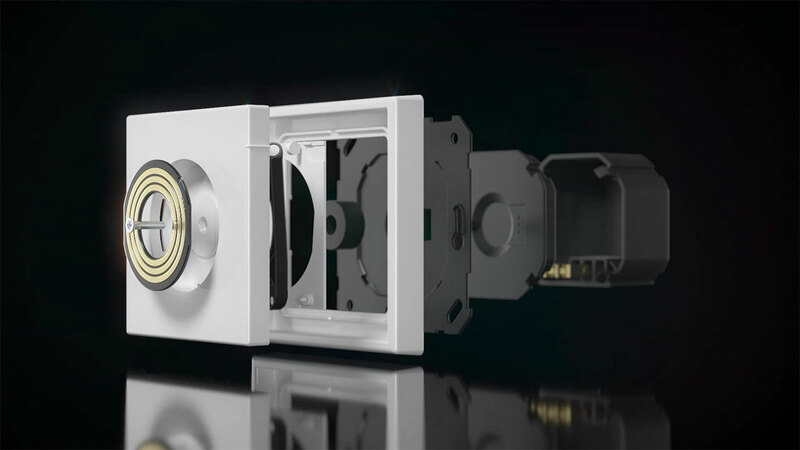 The LED wall luminaire can also be completely rotated. This means that it can be quickly adapted to the desired lighting scenario. 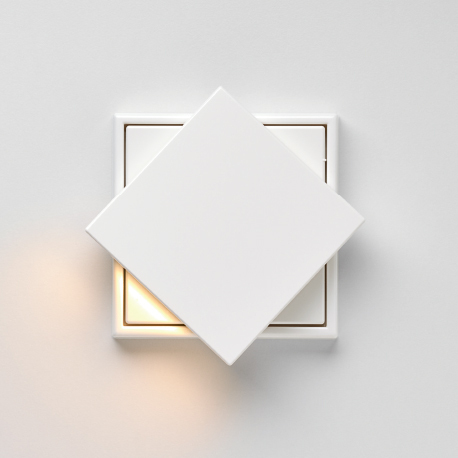 The design of the Plug & Light wall luminaire is reminiscent of a classic switch. With glare-free optics, it sets accent lighting or is used as work light. 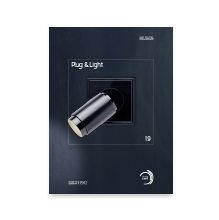 Plug & Light is a package of the competences of Insta, JUNG, Gira and Brumberg. 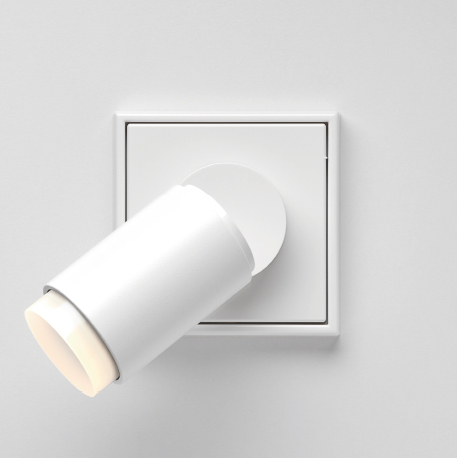 Plug & Light combines lighting sockets and luminaires using magnetic inserts. With lamp attachments that can be individually added and that share a standardised interface. More flexible lighting design is hardly possible. Brumberg was the first luminaire manufacturer to develop five suitable lighting ranges for Plug & Light. They each consist of pendant, ceiling and wall luminaires that can be combined with the light socket in the JUNG switch design. Other manufacturers are invited to use the system to design their own luminaires. 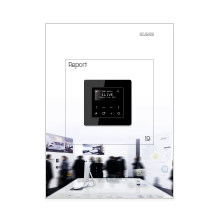 Trends and new products: Have a look at the current JUNG trade fair report. 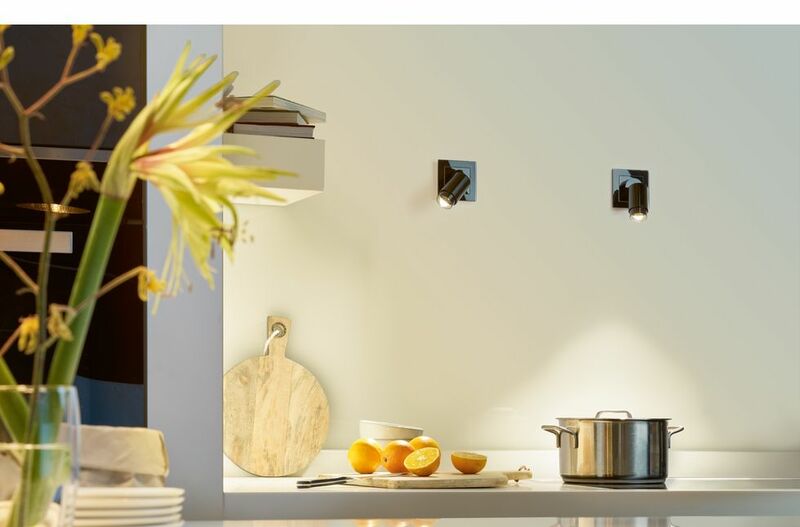 Alles rund um das innovative LED-System erhalten Sie im Plug & Light Prospekt.